Pomegranates are soooooooo late-ninties when it comes to vibrantly colored super-foods. 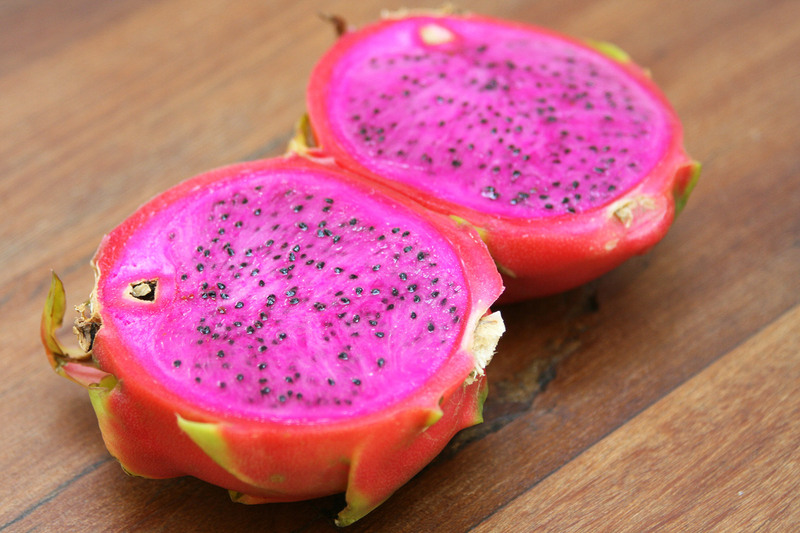 To get with the times, we’re jumping on the pitaya bandwagon—formerly known as the dragon fruit bandwagon…which we assume was an attempt at rebranding the brightly colored fruit to appeal to video-game-playing teens. We picked one up at the farmers’ market the other day, cut it open, and found that it practically glowed fuschia—Pantone 233, by our estimation. 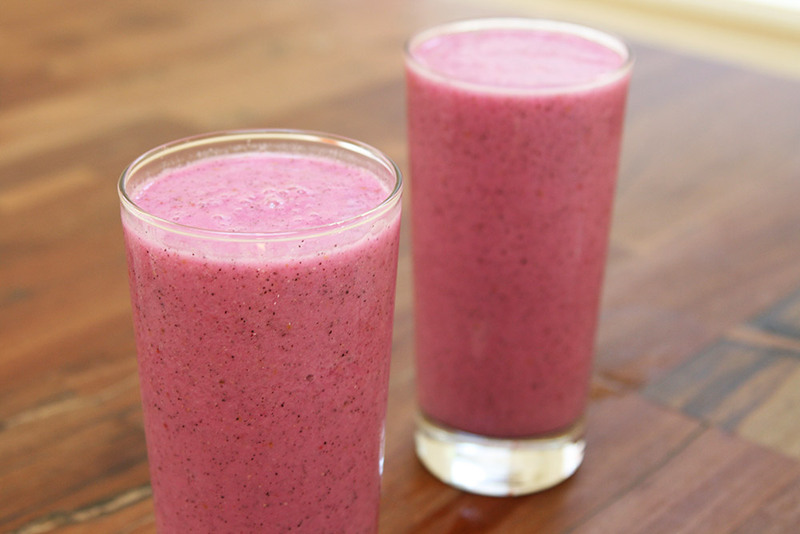 Blend with a frozen banana, spare plum, a little almond milk, and a handful of ice, and you’ve got yourself a pretty tasty, evidently lifesaving smoothie.